As Chicago residents become accustomed to healthy prepared food as an option, a Texas transplant is serving a full menu at locations across Chicago. 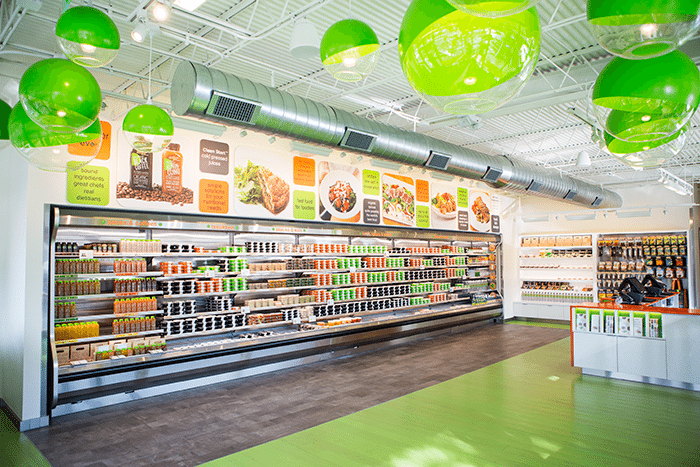 Snap Kitchen Chicago opened its doors to bring breakfast, lunch, dinner, dessert and everything between to the hungry and health-conscious in the windy city. 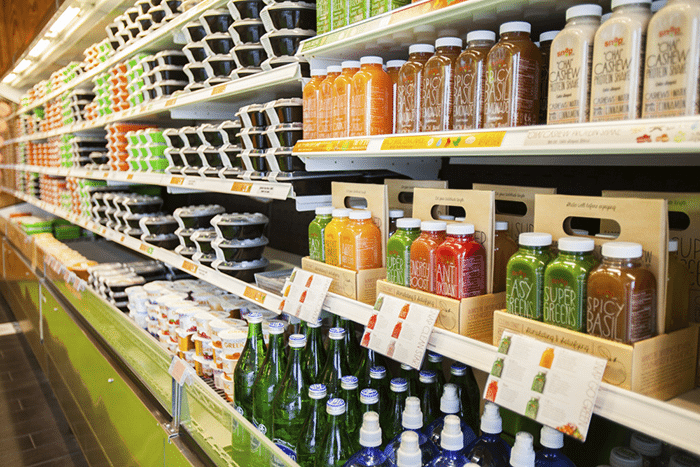 “Chicago is our first jump out of state,” Snap Kitchen’s Registered Dietician, Claire Siegel said. Lining the shelves of the location are colorful containers with symbols that tell a tale of the common allergens and dietary restrictions each meal jives best with. The symbols showcase meals that are carb-conscious, non-dairy, paleo-friendly, plant powered – vegan and vegetarian – and sodium-conscious. The menu is almost entirely devoid of a more common dietary avoidance, gluten. “Ninty-nine percent of our meals are gluten-free. The only gluten-containing ingredient we have is our whole wheat pita crisps, which are only in one of our pre-packaged salads,” Siegel said. Grabbing a meal will run you $8-$15, Siegel said, depending on its size and whether there’s a protein in the BPA-free container. And the colors of the containers aren’t just to bring a little more life into the space, they’re telling you something important. Small meals are orange and pack about 200-350 calories, medium are green and have 350-450 calories and large are black with 500-600 calories per meal, Siegel says. You can drool over the seasonal menu, but with such vast heat-and-eat offerings, it’s hard to know where to start. When pressed to choose some favorites, Siegel had some go-to meals at-the-ready. And moving onto lunch and dinner, she explained the kale presence at Snap Kitchen, which is strong. 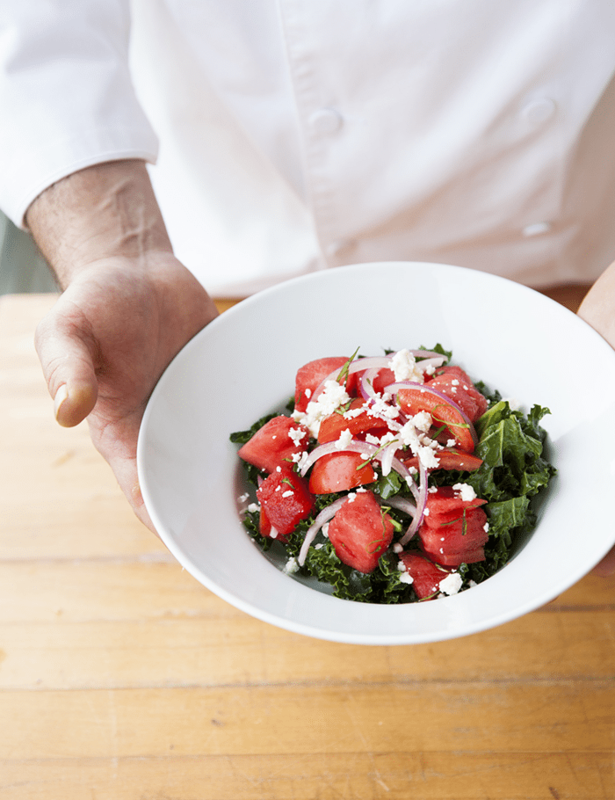 “We always have two kale salads, including one that’s seasonal,” she said and explained that the seasonal option for summer includes watermelon. She also recommended some menu items to satisfy my rumbling stomach, including Crispy Scottish Salmon, Bison Quinoa Hash and Paleo Lasagna. Personally, I’d held a strong belief that grab-and-go salmon couldn’t be delicious, but Siegel assured me that the Crispy Scottish Salmon would crush my expectations. 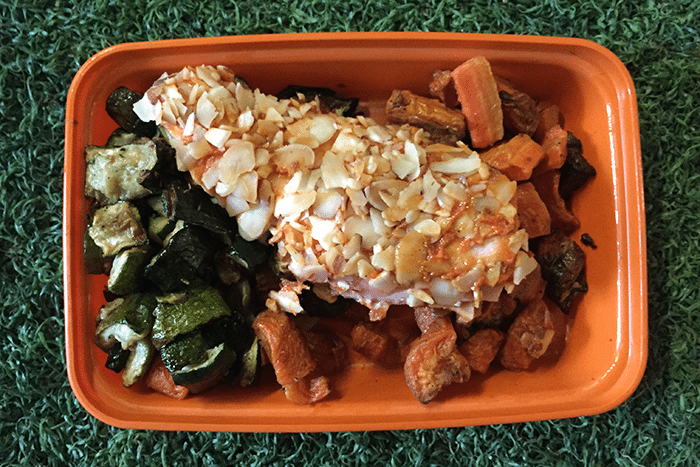 While Snap Kitchen isn’t necessarily a weight-loss program, it does help busy people to stay healthy and can help with different weight loss goals. In Chicago, you can find Snap Kitchen locations in Lakeview at 621 West Diversey, Lincoln Park at 1534 North Halsted and in the Loop at 211 West Adams. More locations are slated to open and according to Siegel, Chicago is ready for Snap Kitchen. “I was sort of surprised by the healthy landscape that’s already here. It’s a really natural fit,” she said.